It's December! So today I have some designs to show you that I created using Moyou London's latest addition to their Festive Collection, plate 64. The plate is full of beautiful Christmas-y themed pattern designs, in a geometric pixel style. The plate has several full-nail size designs as well as some small designs. 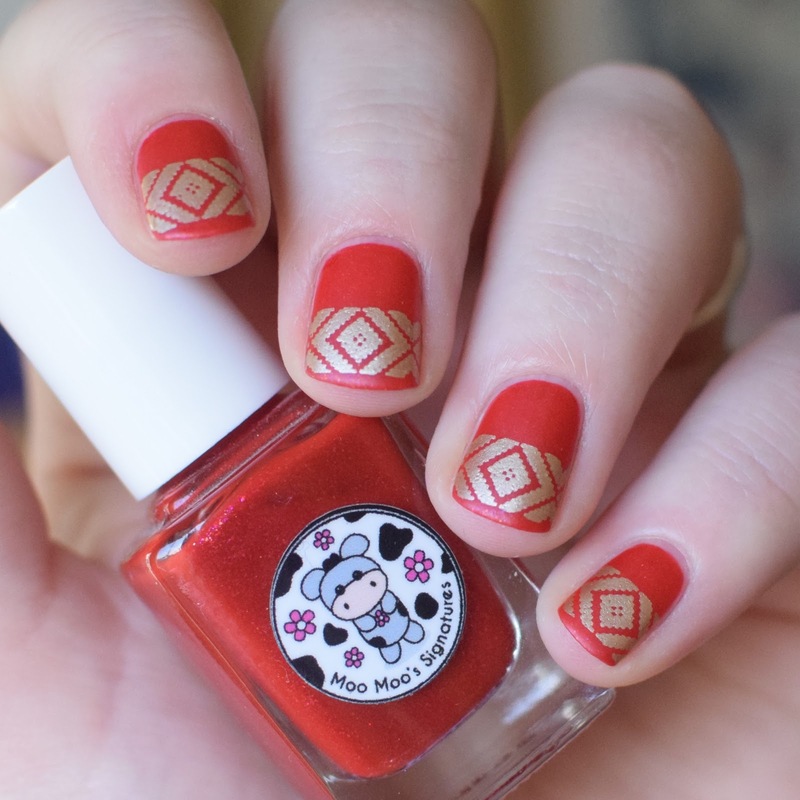 There are so many combination possibilities with this plate and I really like using the smaller designs repeated over my nails. If you're looking for a new plate to liven up your December nails then definitely give this one a try. You can buy this plate for £6.99 each HERE.